Rahul had enough of Bengali sweet and wants to go back to his Mumbai Pizza. Remember during his stay in Bigg Boss House he had explained his relationship with Payal Rohatgi giving example of a Pizza delivery, a give and take relation. 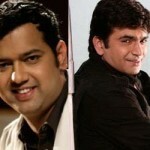 Payal Rohatgi once again is the reason for Rahul getting violent with his second wife. Pati, Patni aur Payal Rohatgi! Seems like Rahul is done with his trophy wife Dimpy Ganguly or else why he would be calling and texting his ex-girlfriend Payal Rohatgi? 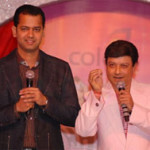 Rahul Mahajan has been calling Payal incessantly at odd hours for over a month now. Rahul is so fascinated by Payal that he had even asked Payal to be a part of his Swayamvar. Payal on other hand had refused all her linkups with Rahul and told the media, “Please! He is a married man and I am not in touch with him. We used to be friends but that was a long time ago. He also offered to pay me Rs 1 crore to be a part of it. You see, he wanted a friend around. But I was used enough in Bigg Boss 2 to know better.” She is quite surprised by the number of messages she has received from him in the past few days. Payal was very close to Rahul until his roving eye chanced upon Monica Bedi in Bigg Boss 2. That’s when she realised his true colours. Rahul had called Payal “a time-pass” in the show, Bigg Boss. 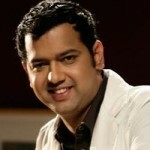 Rahul Mahajan judge for "Chhote Miyan"
Bigg Boss 2 – Rahul Mahajan "Out"